I’m a big fan of contradictions. Where they occur – in social movements, in ideology, in programs of action – they tend to highlight the underlying compositional character of human enterprises. Thus contradictions also provide occasions where the contributing strands of such enterprises may be more easily separated out for examination. (Comedians, of course, love contradictions too – because they highlight our foolishness as a species.) Below, I examine an intriguing contradiction lodged in one of the deep assumptions of the modern alcoholism movement. The alcoholism movement sought to popularize the notion that alcoholism was a disease or illness phenomenon. In that sense – and understood at face value — the movement also sought to medicalize alcoholism. Yet, Alcoholics Anonymous, whose emergence was arguably the deep underlying force in the development of the alcoholism movement, offered an essentially lay and spiritually oriented approach to alcoholism. Moreover, whereas a fully medicalized view of alcoholism might promote the appropriateness of alcoholism treatment as offered, say, by psychiatrists, other M.D.s, psychologists of various stripes, and hospitals and clinics, A.A. arguably emerged in response to the past failures of these medical efforts respecting alcoholism’s treatment; A.A. offered an alternative to alcoholism’s past medical handling. Hence, (a) if A.A. was the institution that, deep down, drove the modern alcoholism movement and (b) if the movement’s ideological centerpiece, the disease concept of alcoholism, sought to medicalize alcoholism, then, and therefore, (c) A.A. was fostering (albeit indirectly) an idea that ran counter to its own program and philosophy. Go figure! Not the least interesting aspect of this suggested contradiction is how little attention it has garnered in the literature on alcoholism and the modern alcoholism movement over the years. Perhaps the notion that A.A. and the disease concept are happy complements to each other is just too familiar by now to raise eyebrows regarding this underlying dissonance. Yet, the contradiction did not go entirely unnoticed, either. 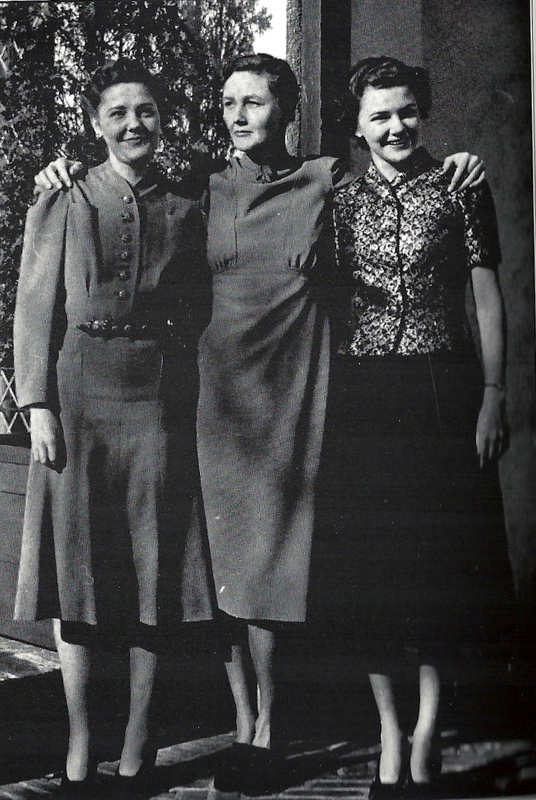 In 1945, in Texas, soon after the launch of Mrs. Marty Mann’s National Committee for Education on Alcoholism (NCEA), a local NCEA organizer named Julian Armstrong wrote Mann a letter objecting to the medicalizing aspect of her disease concept campaign. Conventional medical and psychiatric treatment programs, Armstrong suggested, didn’t work. Moreover, Mann, as a member of A.A., Armstrong added, knew they didn’t work. So why, Armstrong asked, was Mann promoting the appropriateness of all kinds of treatment responses to alcoholism as part of her alcoholism-is-a-disease campaign? believe that clinics, or any other medical or psychiatric means can straighten out very many “alkies” (although I know it can in some instances, here and there) but I do believe that the average individual will more readily go into a clinic to find out what to do for what ails them than they will investigate a layman’s organization such as ours. And also I believe that the very presence of a clinic will emphasize and advertise to the uninitiated that alcoholism is a disease which is to be treated, not hidden or punished. 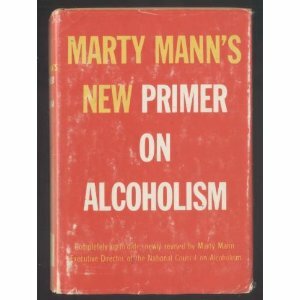 It bears noting that Mann’s apparent support and promotion of various conventional medical and psychiatric approaches to alcoholism treatment was a theme she carried forward into both her Primer on Alcoholism (1950) and New Primer on Alcoholism (1958). In other words, this aspect of her promotional enterprise was by no means a passing or incidental element. There are three aspects of Mann’s reply to Armstrong I’d like to consider. First — and when Mann’s letter is read in its plain meaning — Mann was suggesting to Armstrong that the medicalizing implications of the disease campaign were, in effect, an unfortunate but necessary subterfuge. Medical style treatments were being promoted, she argued, not because they were effective but because they tended to shift the public’s image of the alcoholic in a medicalistic direction and thereby also lessened the stigma that kept alcoholics out of treatment. In this sense, medicalization, as Mann saw it, was chiefly an exercise in image management and image change, and should not, by implication, be interpreted at face value — not, at least, by an A.A. insider like Armstrong. 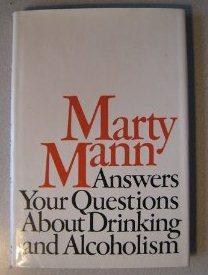 Third, and finally, there is the reply that Mann almost certainly did not wish to offer to Armstrong – namely, that her role in the Yale alcohol group’s plan was defined around promoting the disease concept as a symbol of the new scientific approach to alcohol and alcoholism being proffered by the mainstream scientific community in post-Repeal America. In relation to the Yale group’s symbolic ambitions for the disease concept movement a promotional enterprise focused on the efficacy of A.A.’s vision of alcoholism would have been awkward and out of place. Mann’s “optimistic” meaning for the disease conception was more in tune with the aims of Howard W. Haggard, E.M. Jellinek, and the rest of the gang at New Haven. The medicalizing contradiction imbedded in A.A.’s relation to the movement to promote the disease conception of alcoholism in post-Repeal America therefore highlights three important, and not entirely consistent, strands of meaning and purpose in the modern alcoholism movement. It illuminates how much Mann’s enterprise was focused on changing America’s image of the alcoholic – even if such image-changing efforts involved her at some points in uncomfortable dissonance with respect to her A.A. commitments. The contradiction also highlights the competing and arguably contradictory connotative meanings of optimistic and fatalistic visions of the disease conception. Finally, the contradiction also affords a useful vantage point for appreciating the role strains Mann had to accommodate in advancing the disease conception on behalf of three different interests — the Yale group’s interests, A.A.’s perceived interests, and her own preoccupation with image change and reducing popular stigma on alcoholism. Contradictions, like I said, can shed a valuable light. (1) Letter, Mann to Armstrong, September 8, 1945, quoted in Bruce Holley Johnson, The Alcoholism Movement in America: A Study in Cultural Innovation, Ph.D. dissertation, Sociology, University of Illinois at Urbana-Champaign, 1973, p. 289. (2) Ernest Kurtz, “Alcoholics Anonymous and the Disease Concept of Alcoholism,” Alcoholism Treatment Quarterly 20 (3&4):5-39, 2002. The disease concept helped me stay sober long enough to have that first spiritual awakening. Harvey Wiley is certainly an unappreciated figure in the creation of U.S. and hence world-wide drug policy. Your primary contradiction may actually be based on an equivocation and if so would not be a real contradiction at all. If I get your argument, premise 1 is that AA, from its inception, insisted that medical practitioners were universally helpless against alcoholism. Premise 2 is that the Yale theory (by implication hegemonic?) identified alcoholism as a disease. That isn’t exactly “A” and “not A.” Just because doctors can’t cure it, it must be something other than a disease? AA’s sources used “spiritual disease” the same way religious writers had for long years before them, and what seems like a metaphor to us may not have seemed so to them. Thank you for pointing out the “optimistic” and “fatalistic” subtypes of disease language, and the way they can be played off against one another. This is surely one of the explanations for the attractiveness and staying power of the disease model. Ambiguity works.